Bridgeport resident Miss Kara D’Ann Alvarez has been selected as Queen Silvia for the 80th Mountain State Forest Festival by Director General Scott Goddard. The selection of Queen Silvia was kept confidential for months. Miss Alvarez visited Elkins on Sunday, June 5, 2016, to attend a private reception in her honor, which was sponsored by Davis & Elkins College Dining Services; Graceland Inn and Conference Center; and John and Joyce Allen. When asked about the selection/appointment, Scott Goddard said “Stepping into the Director General role for the 80th Mountain State Forest Festival, I was not given a manual entitled “How to find Maid/Queen Silvia”. At first, I have to admit that I was a little overwhelmed with this task. Luckily, my parents combined with my D&E and Forest Festival families were there for support and assistance. A number of magical moments quickly followed. The following quote/mantra is always bouncing around in my head: Follow your heart. Live your dream. Be passionate. Happiness is yours to take. Never give up. Your energy is limitless. Embrace possibility. Love your life. Consequently, my heart led me to Kara and the Alvarez family. Alvarez, 21, is the daughter of David and Kimberly Alvarez of Bridgeport. She is the granddaughter of the late Manuel Alvarez II and Mary Gloria Alvarez of Bridgeport and Robert and Anna Mae Mosser of Bridgeport. Kara has one younger brother, David Alvarez, and two older sisters, Andria Alvarez and Laura Sutton. The future Queen Silvia is a 2013 graduate of Mercersburg Academy, where she received a Varsity Letter on the Swim Team for four years and served as a Resident Assistant during her senior year. Kara is a junior at West Virginia University where she is majoring in Child Development and Family Studies. At West Virginia University, she participates on the Club Swim Team and is a member of the Delta Delta Delta Sorority. In her spare time, Alvarez enjoys visiting friends, going to music festivals and concerts, spending time with family, spending time on boats, and relaxing by the pool. When asked what her future plans included, Kara said she hopes to be able to work with children with disabilities. 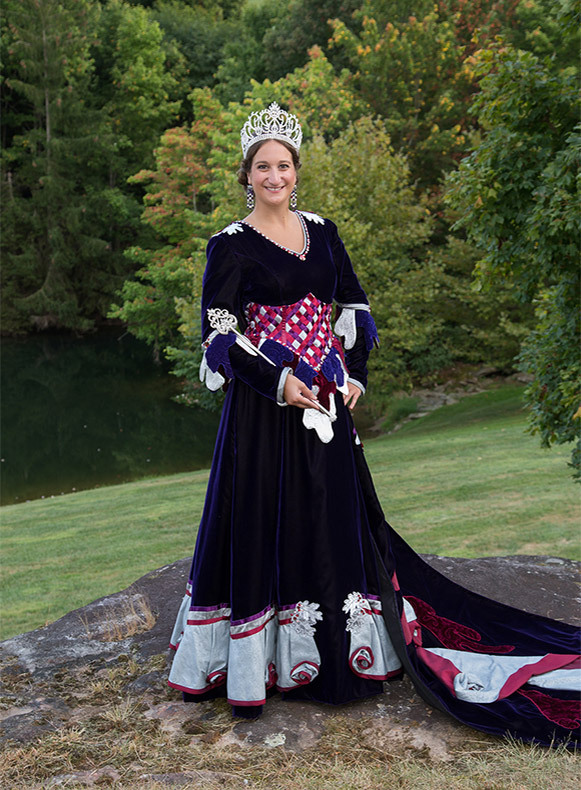 Alvarez will be crowned as Queen of the 80th Mountain State Forest Festival during the Royal Coronation at 2:00 p.m. on Friday, October 7, 2016 at the Outdoor Amphitheatre of Davis & Elkins College. Attended by forty princesses from around the state, two maids of honor and a minor court, she will receive her crown from Governor Earl Ray Tomblin in an elaborate outdoor ceremony. The 80th edition of the Mountain State Forest Festival with the theme “Celebrate!” will take place Saturday, October 1, 2016 through Sunday, October 9, 2016. For more information, please call 304-636-1824.